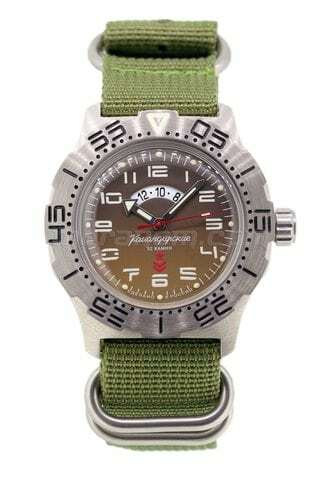 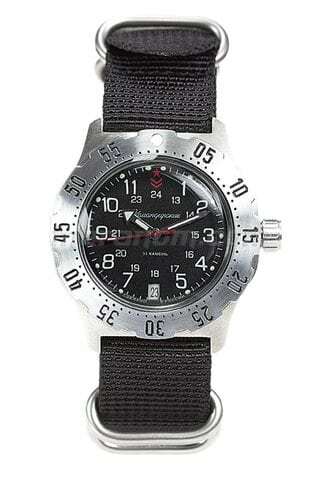 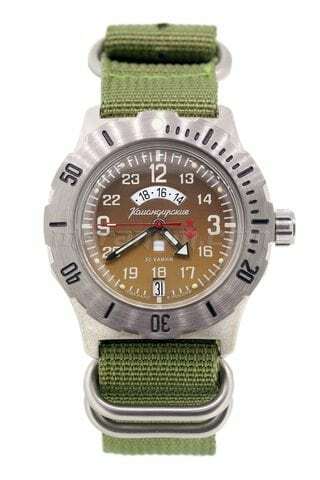 Vostok 2415.12 Over-winding safety device 31 jewels Average daily rate: -20 ... + 60 sec. 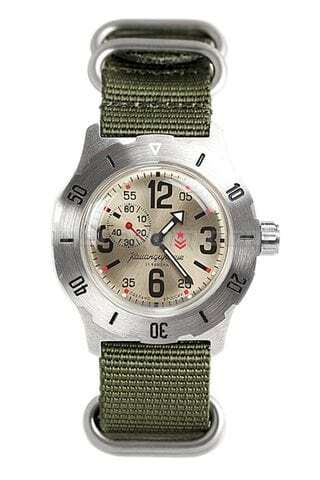 Frequency: 19800 vibrations/hour Power reserve not less than 33 hours Stainless steel case Plexiglas lens Water-resistance: 100 m Dimensions: diameter - 42 mm, height - 15mm Nato s..
Vostok 2415.12 automatic movement with side second hand Over-winding safety device 31 jewels Average daily rate: -20 ... + 60 sec. 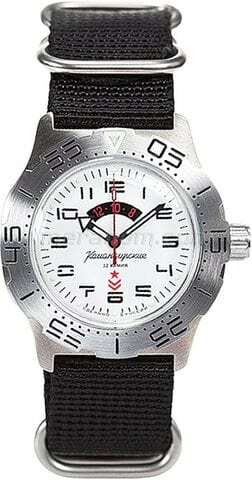 Frequency: 19800 vibrations/hour Power reserve not less than 33 hours Stainless steel case Plexiglas lens Water-resistance: 100 m ..
Vostok 2416 automatic movement with central second hand Over-winding safety device 31 jewels Average daily rate: -20 ... + 60 sec. 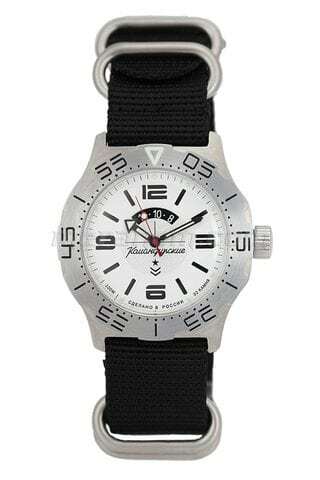 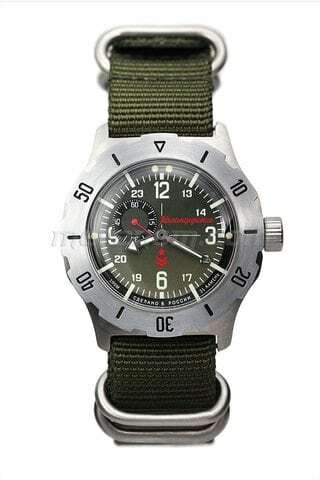 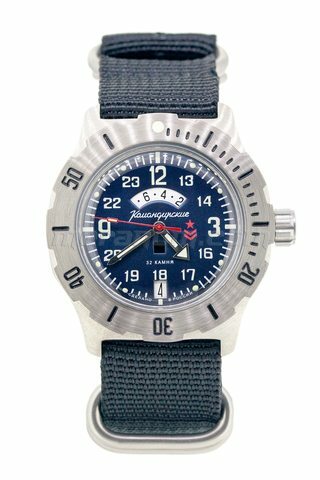 Frequency: 19800 vibrations/hour Power reserve not less than 33 hours Stainless steel case Plexiglas lens Water-resistance: 100 m Dimensions: ..
Vostok 2415.12 Over-winding safety device 31 jewels Average daily rate: -20 ... + 60 sec. 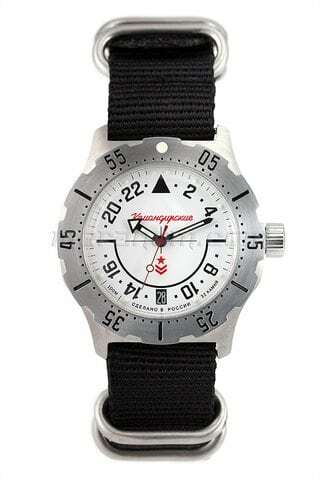 Frequency: 19800 vibrations/hour Power reserve not less than 33 hours Stainless steel case Plexiglas lens Water-resistance: 100 m Dimensions: diameter - 42 mm, height - 15..
Vostok 2432.01 automatic movement with central second hand Day/night indicator (24 hours) Over-winding safety device 32 jewels Average daily rate: -20 ... + 60 sec. 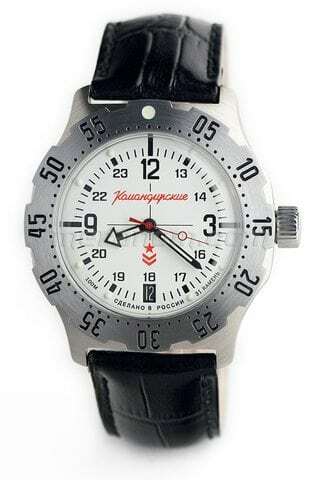 Frequency: 19800 vibrations/hour Power reserve not less than 31 hours Stainless steel case Plexiglas..
Vostok 2431 automatic movement with central second hand 24 hours display Date calendar Over-winding safety device 32 jewels Average daily rate: -20 ... + 60 sec. 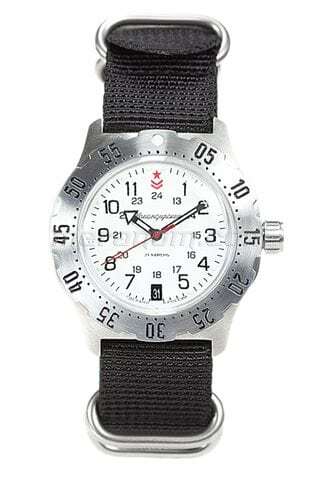 Frequency: 19800 vibrations/hour Power reserve not less than 31 hours Stainless steel case Plexiglas lens Wa..
Vostok Watch Russian Komandirskie 350757 can be purchased at official retailer of Vostok Watch-Makers Inc..
Vostok 2432 automatic movement with central second hand Day/night indicator (24 hours) Date calendar Over-winding safety device 32 jewels Average daily rate: -20 ... + 60 sec. 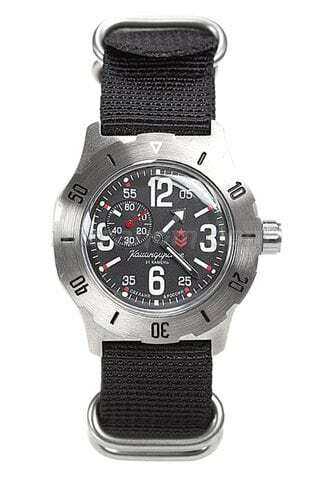 Frequency: 19800 vibrations/hour Power reserve not less than 31 hours Stainless steel cas..